The East End of Long Island is a treasure trove of many of the best fall festivities, such as pumpkin picking, apple picking, and corn mazes. Unfortunately, a ride out east can be more than a quick drive away for most people, and it often means making the trek with a carful of kids. This autumn, buckle your kids in with some great games and distractors in mind to keep them busy and prevent any arguments or fights along the way. Many of these games are not just time wasters, but they are also educational and help kids polish up their memory skills, their observational skills, and their questioning skills. Try one of these games on your next road trip and let us know how it goes! Road Trip Spelling Bee: Brush up your kids’ spelling skills and help them study their sight words or vocabulary lists by holding a mini spelling bee in the car. Keep track of points, or have another adult or older sibling be the score keeper. I Spy: This car trip classic is easy for all ages, and requires a discerning eye. Have your child pick something they see and offer a clue as to what it is by saying, “I spy with my little eye…” and adding a descriptor, such as something that is a certain color or starts with a certain letter. Make sure they choose something in the car in everyone’s line of vision and not something you will drive by in seconds and forget about. Spot the Car: Teach your kids about different makes and models of vehicles with this game, which will challenge them to be observant of the different cars around them. Give your kids either a category of car to search for, or a specific kind of car, and the first person who spots it gets a point. You can also do this with colors of cars, such as the first person to spot a red car or a yellow car earns the point. Twenty Questions: This tried-and-true game is a great way to while away time spent on the road. Have your kid think of one thing in particular, such as an animal, a food, a person, or a place. Then, ask up to twenty yes or no questions to figure out what it is. Teach your kids to work from broader questions down to more specific questions so that they learn how to categorize in the broadest sense, as well as in the most narrow sense. Make Up a Story: Tell a story as a family where each person adds a line. One person can start the story with one sentence, and each family member gets a turn to add to the story, building and building for as long as you can go. This will give both you and your kids a creative boost, and will also likely provide lots of laughs for the trip. 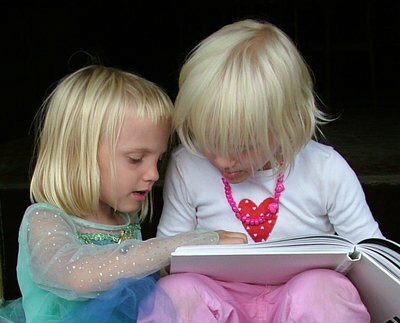 Take Out New Books From the Library: Though this is not a game, you can help your kids by adding to the allure of reading by getting all-new books from the library that your kids can peruse and enjoy on the car ride. Take a look at our book picks here to keep your kids up to date on the trendy book series, such as Mo Willems’ Pigeon books and Rick Riordan’s Percy Jackson and the Olympians series. Teach Map Skills: Show your kids what life was like before GPS and let them look at maps of the area, or maps of the state. You can then give them the challenges of locating different towns or geographical features, and even award small prizes for each correct answer. Subject: LongIsland.com - Your Name sent you Article details of "Top Car Trip Games to Keep Kids Busy While Driving to the East End"